Even though we've just gotten back into a routine after a relaxing Christmas break I feel like everyone is already thinking about the next thing. Nope, not this weekend or spring break but instead this summer. In college especially I feel like everyone knows what they are doing the following summer so early on. Whether it is a job or some amazing internship or even traveling abroad to get into all of these things or programs you need one thing, a resume. Resumes in high school are a bit different than the ones you are likely to send out in college. I think back to the one I sent in to work at camp and attached when applying to colleges and cringe a little bit. In most cases you would think that it is good for a document like this to be lengthy since it is highlighting your experiences, endeavors, and accomplishments but the true value actually comes with the concise clarity a person can provide when highlighting these same things on a single page. A bullet point for each award is excessive and I'll be the first to tell you that I think the one page rule is silly although I am coming to understand its importance. 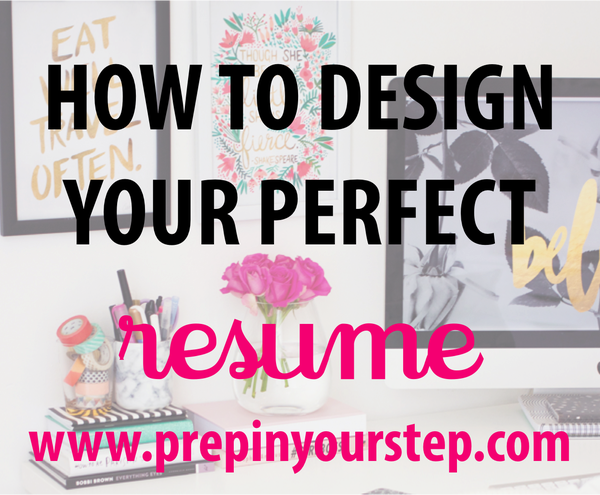 I am certainly no expert when it comes to designing the perfect resume and mine has experienced many tweaks but after making your first one the process gets a whole lot easier. There are times when being the younger sibling to a superstar student are useful and nice and while I was creating my resume was undoubtedly one of those times. A couple of weeks ago I decided to finally put together a more official version of my resume and after hearing from my brother how great his was (so humble, I know) I decided to use that to my advantage. I had him send me a copy of his and decided to use it as my very own template. Since not everyone may have this convenience I thought it would be nice to act as your older sibling for a moment and create a template of sorts to aid you for when you decide to create your own. I know that there are a lot of different formats and styles of resumes but this is just I chose to use. Also, if my brother can make his one page I have faith that you can too! I struggled with how to do this and have done a lot less than him so used that as my motivation to consolidate it. I would recommend having a few friends proofread it before you send it off to a company or college but by creating your base you are already off to a great start. Here is a template and general overview of what to include in yours! As for other formatting tips I would definitely recommend using Times New Roman font size 12 for the majority of the document. Making your name at the top 16 point font is a good idea but other than that consistency is a good thing. Also, in the image above GPA and Time Frame bumped down to their own rows (and it isn't letting me fix them) but I would recommend putting those on the same line as the Name of University (in the education section) and Experience One and Experience Two lines. I hope this helps some of you out when it comes to creating your own resume! Hey Dorothy, thanks for sharing this with all of us! Is there any way to also download the template? So far it's only possible to download the image, but it would be so much more convenient to be able to use it as a editable template. Thanks in advance!! Thanks so much for sharing this! A few colleges ask for resumes as part of the application process so I'll be sure to keep this on hand, not to mention it's always good to have a resume made! I wouldn't worry too much about the 1-page rule. From a hiring perspective (I review lots and lots of resumes on a daily basis) that part doesn't matter so much. Its more, making sure the really important stuff stands out on the first page. I always like to see people include, right at the start of their resume, the software skills they have (photoshop, quickbooks, excel etc) That way I know if you're going to be able to do the work we need with or without additional training. Bullet points are good though! Makes it easier to read! Lol oh my gosh my resume is almost completely the same!! Great tips! expect a small sliver of the sales, means that, “Apple Watches Replica saccounted for all other models of combinations of more than double income, Gold Edition concern income dominate the. “Gruber as pointed UK Replica watches out, however, it all depends on having the digital rights of 2 WSJ, Apple Designer handbags were predicted correctly demand.Apple, observed the version that remains under lock and key Replica Rolex Watches though stressed enough there is likely to handbagreplica .